The following pages will provide information for builders wishing to register a new hydrofoil system model for use in events of the IKA Formula Kite class. IKA approved hydrofoil systems are mass produced kiteboarding equipment manufactured in a series production run of at least 100 pieces per model/size. The brand guarantees a minimum building capacity of 50 pieces per equipment/model/size per month on an ongoing basis until the end of the next Olympic Cycle. 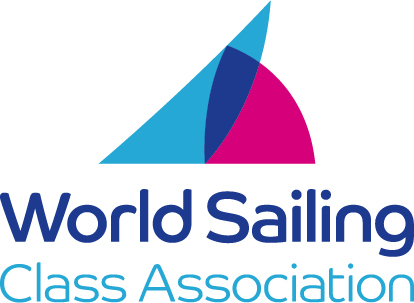 The brand guarantees that world wide distribution is available and that equipment will be delivered to customers on a first come-first served basis if not otherwise agreed with IKA or World Sailing. Equipment will be eligible to compete the day after the next Olympic Games. Please refer to the relevant class rules for details affecting timelines for eligibility. For equipment eligible for Formula Kite class events, the final registration deadline is May 1st before the next Olympic Games. Please refer to the most current class rules for details. To measure the maximum length of the mast (“m”), bring the bottom side of the mounting plate / the base of the tuttle/finbox head into horizontal level. From that plane, measure 90° down to the furthermost point of the mast. From the same horizontal level plane (bottom of mounting plate), draw two reference lines (AA and BB) parallel to the plane, one in 100mm (AA) and one in 800mm (BB) distance. Measure the length along the leading edge (“a”) and the length along the trailing edge (“b”) along the edges between points 1 and 2. Points 1 and 2 are formed by the intersection of the reference lines and the edge. Along both reference lines, measure the chord (“c”), the maximum profile thickness (“d”) and the distance of the maximum profile thickness (“e”) from the leading edge at line AA; and the chord (“f”) the maximum profile thickness (“g”) and the distance of the maximum profile thickness (“h”) from the leading edge at line BB. Measure the minimum chord of the mast (“n”) at any point. Measure the maximum span (“a”) between the widest points of the wingtips. Draw two reference lines parallel to the centerline of the wing, one in 100mm distance (AA) and one in 200mm distance (BB). Measure the chord (“c”), the maximum profile thickness (“d”) and the distance of the maximum profile thickness (“e”) from the leading edge at line AA; and the chord (“f”) the maximum profile thickness (“g”) and the distance of the maximum profile thickness (“h”) from the leading edge at line BB. Draw two reference lines parallel to the centerline of the wing, one in 50mm distance (AA) and one in 100mm distance (BB). Measure the chord (“c”), the maximum profile thickness (“d”) and the distance of the maximum profile thickness (“e”) from the leading edge at line AA; and the chord (“f”) the maximum profile thickness (“g”) and the distance of the maximum profile thickness (“h”) from the leading edge at line BB. Measure the maximum horizontal diameter (“n”) at any point. Measure the maximum vertical diameter (“o”) at any point. Draw a reference line 300mm from the end of the Fuselage, rectangular to the axis. Measure the horizontal diameter (“p”) and the vertical diameter (“q”) at the reference line AA. Measure the distance from the front of the fuselage to the most forward point of the mast connection "r". Detailed building specifications including materials used and layups must be provided together with the application. The final decision if a measurement difference is caused through normal production variation, wear and tear, or other reasons, and the value of the accepted variation is solely within the equipment inspectors discretion, and he may apply larger or smaller tolerances when justified following the principle that "any equipment is built to the highest possible degree of uniformity in every performance related aspect".